Mr Potter, who also serves as the commissioner of insurance, said he was forced to serve a cease and desist order to an insurance agent on St Croix, who had been selling insurance policies and was pocketing the premiums collected that were supposed to be turned over to an insurance company. “They collected quite a bit of insurance premiums,” Mr Potter said. The lieutenant governor said his banking and insurance team got together with the insurance companies whose officials promised to honour the policies that should have been filed with them. “Those individuals will be covered,” Mr Potter said. He did not say how many insured individuals were affected, nor did he state the amount of money stolen, and the lieutenant governor did not give the name of the individual. He did confirm that the matter was turned over to the Department of Justice. Mr Potter said such incidents have occurred during past hurricanes, and that the incident, which occurred on St Croix, was the first since Hurricanes Irma and Maria. Also at the press conference, held last week at the West Indian Company, Acting Dept. of Public Works (DPW.) 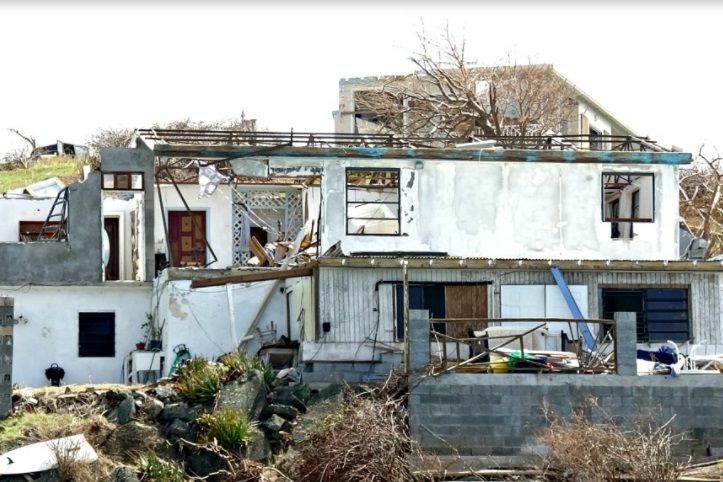 Commissioner Nelson Petty Jr reported the United States Army Corps of Engineers has been asked to speed up its cleanup work on St Thomas and St John, and to identify any additional resources such as manpower and equipment needed to facilitate progress. Residents were reminded to place debris into four piles to facilitate a smooth collection process. Alice Krall, communications director for the Virgin Islands Waste Management Authority, said her agency is working closely with the DPW and the US Environmental Protection Agency (EPA) to manage the removal of debris from the territory. Ms Krall reminded residents that household hazardous waste cannot be left at bin sites or alongside roads, and should be brought to a designated EPA site on St Croix, St John or St Thomas. Residents who witness illegal dumping are advised to report it by calling (844) 962-8784. They should name the company so no more innocent people get hurt. I wish the BVI insurance companies were made to pay up.